I visited Pine Hill Farm last year, just to take a picture or two - I never thought to find out about the eggs, lambs and pullets they sell. But a friend told me the eggs are the freshest you've ever tasted, so I stopped by to buy some last night. It's amazing, the difference between supermarket eggs and the ones laid fresh by hens that spend their days pecking grubs in an open area. The whipped honey is pretty yummy too. 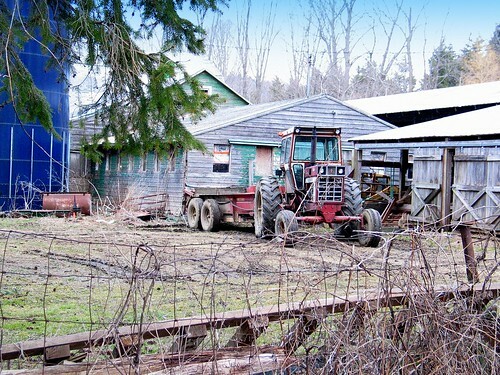 It is a true farm scene, isn't it? Are the blues the true colours?